When you think September, you think “back to school”. It’s the time of year that brings out the kid in all of us! And leading the charge of kiddies back into those hallowed halls is a troop of teachers, librarians & administrators. I have the utmost respect for school teachers and librarians. They have more patience, more imagination and more energy than most other people. Teachers mold our future leaders and innovators. When it comes time to marry, most teachers like to draw on their teaching background for design inspiration. In designing a perfect sustainable wedding theme for a teacher or librarian, it is important to incorporate your ABC’s into the overall wedding plan. Ripe apples have always been the classic gift for a schoolteacher. You can use this delicious school related treat in several ways. You can use whole polished apples on a vintage teacher’s desk as an eco-chic school-related place card station. 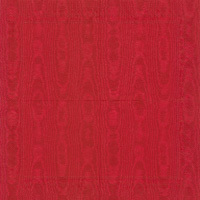 You could also use whole red apples as eco-chic table centerpieces by making a pyramid of them on a vintage cake stand. 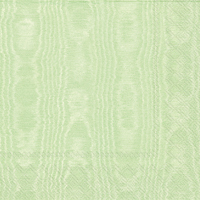 This is a brilliantly green choice because it reduces the need for hothouse flowers which significantly brings down the carbon emission score on your wedding. A great green bonus is since the apples are whole, they can be donated to local food banks afterwards. Talk about a win/win! When you think school transportation, the big yellow bus is iconic. From the grandparents to your students, riding a bus will bring back school time memories. You can rent old school buses to transport your wedding guests from your ceremony to reception site, you can use them for amazing school themed wedding photos and you can even use them to make one killer photo booth. Ecopartytime even carries organic bus cookies which can be personalized as favors. 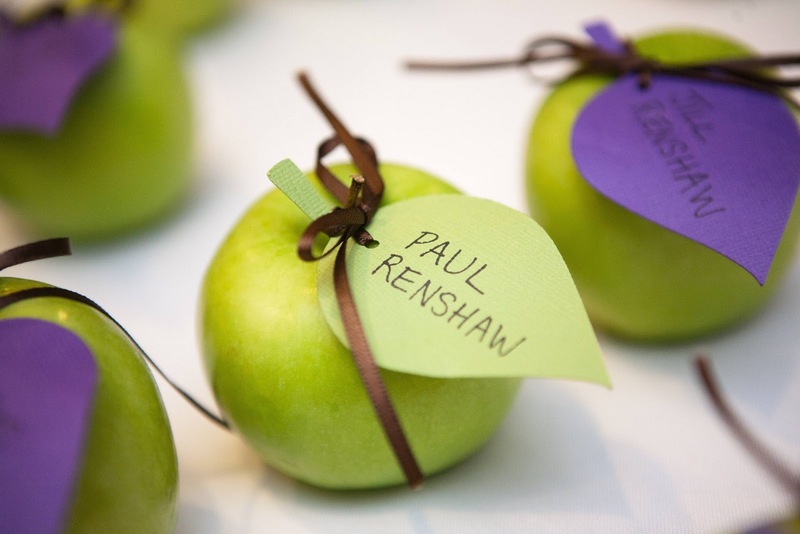 Books can be used in multiple ways at an eco-friendly school themed wedding as well. 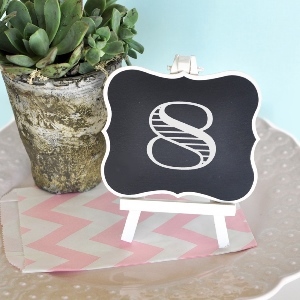 You can layer them into a vignette near your guest book. You can wrap lace around your favorite books and have your bridesmaids carry them instead of flowers. You can even group several of them according to color or theme and use them as your centerpieces on your guest tables. You can always donate the books afterwards to a local library or school. 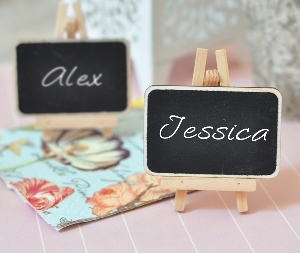 No school teacher wedding could be complete without one or more chalkboards. 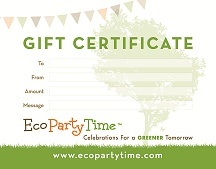 Ecopartytime offers several different versions which can be used on your reception tables, dessert buffet, and guest book sign-in area. Crayons and other craft supplies can be used in multiple ways at any school related wedding. 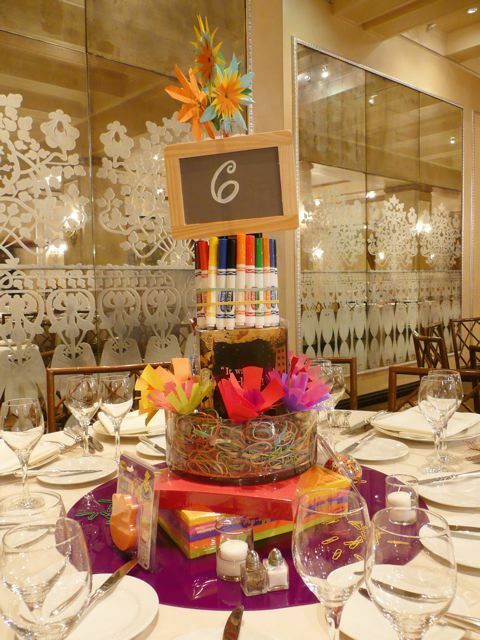 Build a tower of school related supplies for table centerpieces. 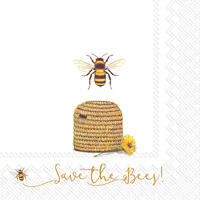 After the wedding you can donate them to the local school or use them in your own classroom. Be crafty & create an arts and crafts station for your students and other little ones to entertain them during the reception. 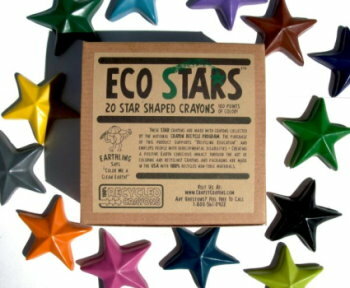 Ecopartytime also offers recycled crayons that you can use to keep the kids entertained. You can get them in great shapes like stars.